No stain is too tough for Ducman Services of Sidney, Ohio. Whether you own a small residential space or a large commercial complex, we provide carpet and upholstery cleaning services on time and under budget. When your carpets look dark and dingy or have untreatable spills, stains, and smells, our professionals are here to help. We make your home look and feel livable in a matter of hours. 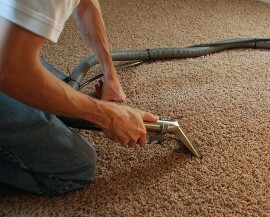 Our team gives you the cleanest carpets you’ve ever seen at the lowest prices you’ve ever paid. We offer deep-cleaning services, residue removal, and odor control that bring a clean fresh feeling back to your carpets. Bring life back to aging rugs, couches, and other household upholsteries with Ducman Services. Our caring service providers understand your needs. Your busy life may not always allow you the time to deal with pet odors, spills, stains, and everyday wear that diminishes the look and feel of your house, car, or boat. You can count on us to restore your fabrics while leaving your property looking and smelling fresh, clean, and just right for easy breathing. If you're not sure exactly what your carpets need, you are able to speak directly with one of our friendly sales associates. Our knowledgeable team members are prepared to answer any questions related to your carpet cleaning needs. You even create a custom service plan and maintenance schedule that fits your busy lifestyle. Contact us for carpet and upholstery cleaning services that make your furniture and rugs as spotless as possible.